Hermes is an institute of higher professional education, established under the aegis of Guru Nanak Educational Society, which has an established tradition of pursuing academic excellence while ensuring all round personality development of the student. Hermes Institute has taken several new initiatives to meet the challenges of the emerging problems. Functional knowledge with realistic application is an intergrating strategic tool for competitive advantage, apart from being recognised as a value adding force which is capable of solving problems and creating breakthrough opportunities. Hermes has set academic standards and excellence in thought leadership by providing a pool of intellect genius and technically competent professionals. Placements: Placement Cell is an integral part of Hermes. Complete infrastructure has been provided for effective functioning of the cell. Training activities are organized throughout the year in an effort towards preparing the prospective students for the campus selection programmes. The cell keeps on inviting various industries and reputed firms for campus recruitment. The cell is sensitized to function all through the year towards generating placement and training opportunities for the students. having some of the most talented and dedicated leaders in the country, who come from the best institutions around the world. Campus: Hermes is an institute of higher professional education, established under the aegis of Guru Nanak Educational Society, which has an established tradition of pursuing academic excellence while ensuring all round personality development of the student. Hermes Institute has taken several new initiatives to meet the challenges of the emerging problems. Functional knowledge with realistic application is an intergrating strategic tool for competitive advantage, apart from being recognised as a value adding force which is capable of solving problems and creating breakthrough opportunities. Hermes has set academic standards and excellence in thought leadership by providing a pool of intellect genius and technically competent professionals. 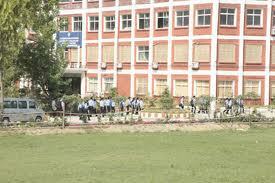 Hostel: The college having a wide hinterland has good hostel facilities for both male and female students. The Boy’s hostel has a capacity of 120 boarders. The Girls’ hostel has a capacity of 100 boarders. Students are admitted to the hostels on the basis of distance of their residence from the hostels and their respective merit. There are specific rules and regulations for both the hostels (to be put up in the respective notice boards) violation of which may lead to severe punishment, even cancellation of boarder ship . Each room of the hostel is furnished with modern furniture, viz., cot, study table and chair, wardrobe and 24 hour network connection with Internet facility. Other facilities that are provided within hostels include Sports, Television, Newspaper, Magazines, Periodicals, continuous Aqua Fresh Cooled water and electric supply, spacious bathrooms, and toilets. Security guards provide 24-hour attention. We have 24×7 ambulance facility within the hostel.